Apple was the top smartphone importer into China during the first calendar quarter of the year. 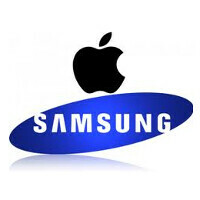 According to Digitimes Research, the manufacturer delivered 13.5 million iPhones into the country from January through March, nearly doubling the number two manufacturer on the list, Samsung. Sammy shipped 7.2 million smartphones into the country for the first quarter. Taiwan's HTC was next, with a huge fall off to 300,000 handsets shipped. Microsoft tallied 200,000 smartphones shipped while Motorola, LG and Sony each had 100,000 handsets sent into the market. The largest handset manufacturer domestically in Q1 was Huawei, with 14.1 million phones shipped. The 12.2 million units delivered by Oppo was next, followed by BBK's 11.8 million. Xiaomi (8 million units), Coolpad (5.4 million units), Gionee (4.4 million units), Meizu (3.6 million units) and ZTE (2.1 million units) were next. Domestic manufacturers shipped 83 million handsets to China in Q1 for 79.3% of total shipments. International manufacturers sent 21.7 million handsets into China during the first quarter, good for 20.7% of the country's shipments. That was down 35.5% sequentially, and 17.5% year-over-year. Overall, for the first quarter there were 104.7 million smartphones shipped to China. That was down 11.2% from the fourth quarter of 2015, but up 20.1% over last year's first quarter. Chinese deliveries represented 33.8% of the world's global shipments in the first quarter of 2016. Sub $250 section is most common here. Indian market is not even close to saturation yet. The smartphone world is in an interesting state right now, it's not the newest "trend" anymore and everyone's got a smartphone of some nature. Wonder what the next few years will be like. Hopefully this over saturation and loss of style appeal actually brings us clean smartphones that don't have any gimmicks, touchWiz, ugly looks or ridiculously expensive price tags. I want a 400 ish costing, 820, non ugly, 5 inch, dual sim, thin bezels, stock Android phone (with actual updates), on screen buttons, 3600+ battery and an awesome camera, SD slot, metal, thin and flat from the back. And be made by a known manufacturer that can be bought locally making the whole warranty process easy. So far the new Moto's look horrible, the new One Plus will not be available locally for me, the Nexus 6P is huge and not worth its price, the Nexus 5X only has 2GB of ram and an 808. Samsung, HTC, LG, Huawei and the rest all put skins on their phones and you'll never see an update on time. (If you ever see it at all). Hopefully we see a Nexus 7 refresh from Google at IO and HTC kill it with the Nexi. Shouldn't the title be "Domestic manufacturers make up for 79.3% of total smartphone shipments in China" or something like that? right? how do they "import" something that is made there? Oh sorry, change "shipments" to "sales"
I just figure they're broken phones going back to be refurbed @ Foxconn :) but because Apple, they say they're selling phones back to China - which doesn't make sense because as you say, they're made there lol.... This is totally weird.. But that would mean they would have to remove click bait words like 'Apple' and 'Samsung' from the headline which is against PA's journalistic integrity. So what's new in it. Apple is on top. I am not apple user i am using samsung since S3 launched till S7 edge but S7 edge is my last samsung device becouse of samsungs worst marketing policies supose i bought my S7 edge a month ago here in pakistan. And now they announced that every customer who will buy S7 and S7 edge will get free gear VR from 1st may. So what about them who bought few days earlier? What the F**k is wrong with samsung. Never samsung again. Apple is best atleast they are loyal to their customers! So you will not buy the phine that is best but the one that does not get sudden offers?? Lmao... Its very idiotic. i am not talking about offers i am talking about customers loyality supose who bought the phones earlier they didnot get VR glasses and who will purchse later they will get it. this couldnot be the standard of multi national company. if they were giving offer they should be deal all customers equally who bought earlier or who will buy later! its not about the offer its about the standard supose look at apples history they have not done any stupidity like this! they are customer loyal company. I am not sure how it works in pakistan but isnt there a 30 or 14 day return policy ? Cantt you just return your phone and buy it again to qualify for the offer ? If not try dropping samsung an email. I personally found their customer service pretty good, especially towards s7 owners. Nope. nothing anything happens in pakistan. i called to their cutomer care centre and they replied me that it's your bad luck. is'nt it funny that a multi national company says that it's customers bad luck. that's why i hate buying samsung phones for next. lol...that your bad luck....how professional ! Tough luck, buddy. Your last hope it to send an email and from my experience they do work. As they're bound to reply much more 'professionally' if it is requested in writing as against over the phone. Also, it would be handled by someone senior rather then a stupid sales rep over the phone. Mmmm may be. lets try! Huawei rules not the iphone on imports to china. It should be "Apple EXPORTED.."
lmao all the excuses in this thread. Just stfu and accept it. No actually you should STFU!!!!!!!!! The source article actually is saying, how many phones were shipped OUT of China. Apple shipped roughly 13M phones while Samsung shipped 7M Which was about double what Samsung shipped out. Why? Because most of Samsung products are made and shipped from Korea, which is why Samsung is 25% of South Korea's GDP and while Apple is less than 0% the USA GDP. In other words it's another click-bait PA article. proof they have no integrity whatsoever! The fact you would take an actual source and spin it off with a lying title just shows the desperation to make it seem like Apple is doing good. The article states, Apple shipments from China dropped as did everyone combined by 20%. Which means China is begin less used for many products vs before. For the idiots who can't read the sources article it says an I quote word for word: "There were 104.7 million smartphones shipped in the China market during the first quarter of 2016, slipping 11.2% on quarter but growing 20.1% on year and accounting for 33.8% of global total, according to Digitimes Research. China-based vendors together shipped 83.0 million smartphones for a combined China market share of 79.3%, while international vendors' shipments of 21.7 million units occupied only 20.7% of the market and shrank 35.5% on quarter and 17.5% on year, Digitimes Research indicated. Huawei Technologies was the largest China-based vendor shipping 14.1 million smartphones, followed by Oppo with 12.2 million units, BBK with 11.8 million units, Xiaomi Technology with 8.0 million units, Coolpad with 5.4 million units,Gionee with 4.4 million units, Meizu with 3.6 million units and ZTE with 2.1 million units. Among international vendors, Apple shipped 13.5 million smartphones, Samsung Electronics 7.2 million units, HTC 300,000 million units, Microsoft 200,000 units, and Motorola Mobility, LG Electronics and Sony Mobile Communications each 100,000 units." Go back to school brosephine. Shipped in the China market means the phones stayed in China...lol. Holy Crap you are dumb. These are smartphones going INTO China. PA is just trying to make apple sales look better then they are. But the fact is Apple is not on top anymore and stock is dropped. But Samsung actually sold theirs, where are all those iPhone's at? Because we know they aren't selling. Apple shipped 13M Apple Watches. yet sold less than 1/4 of them from what we can tell. The best post is #4. Why would Apple "import" the iPhone into china, when its already "Made In China"